After last winter's highly pathogenic avian influenza outbreak hit supplies, the egg industry is suffering quite a setback as "pesticide egg" scandal is triggering fears over eggs across the country again. Obviously, safety is the biggest problem. But also, there is a growing concern about another "egg crisis" with a strong demand for eggs ahead of Chuseok, or Korean Thanksgiving. 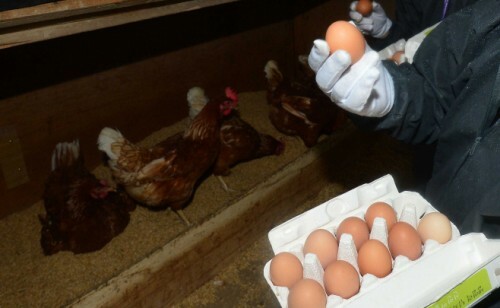 According to Korea agro-Fisheries & Food Trade Corporation on Tuesday, the average retail prices of egg soared to 7,959 won for a 30-egg pack from 5,350 won a year ago. Prices have risen by 42% in one year. Due to the outbreak of bird flu last winter, about 25.18 million birds or 36 percent of South Korea's poultry stock, were killed. As a result, the nation's daily supply of eggs has been cut to 30 million from an average of 43 million before the bird flu outbreak. Amid supply shortage, the nation's major retail firms, including E-mart, Homeplus and Lotte Mart, as well as convenience store chains, supermarkets and online shopping malls suspended the sales of eggs nationwide. It is highly likely that this will lead to price hikes. Earlier this year when the bird flu was spreading, egg prices soared to almost 10,000 won for a 30-egg pack. Since eggs are a common food and one of the widely used ingredients in cooking and processed food, the egg scandal has put consumer health at risk and fears over eggs are spreading to food. Fipronil, the reason for the pesticide egg scandal, is a pesticide that destroys the central nervous system of insects. It is a toxic substance that can cause headache, sensory abnormality, and organ damage to a person. According to data released in U.S. Centers for Disease Control and Prevention (CDC), fipronil is widely used against fleas and ticks on livestock and pets worldwide. However, it is prohibited in the poultry sector. The World Health Organization (WHO) has warned that high doses of fipronil may damage organs such as livers and kidneys. It's no wonder that fears are spreading among consumers. On portal sites, the search term related to "insecticide eggs" continue to be exposed on top, and several messages showing concerns are being posted on community boards. 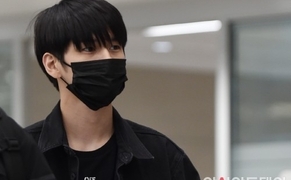 Many netizens criticized the government's poor safety measures with comments like, "This is absolutely shocking and terrible. My kids eat eggs every day. The problem is that punishments have been surprisingly light," "Food management is very poor, and supervision is a mess," and more.